I thought you might need a picture of the beach today along with a reminder to trust God. He’s got you. 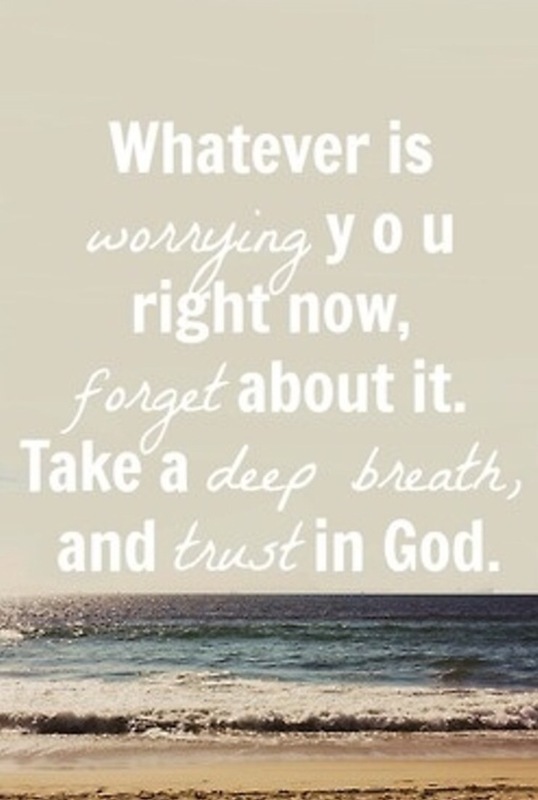 Whatever today brings, I want to remind trust God in it. Trust that He has your past forgiven. There is no sin in your past stronger than the blood of Jesus. You are forgiven. Trust that He has your present provided for. Jesus will give you what you need, when you need it to deal with what is happening. Trust that He has your future in the palm of His hand. Jesus is preparing a place for you and preparing you for the place. Stressing about it helps no one. Rest in Him and wait. “Trust God from the bottom of your heart; don’t try to figure out everything on your own. Thank you Olivia! I am so grateful that God is using me to bless you and it encourages me to keep going. Have wonderful day.